Editor’s note: Josh Lieberman is president of KMS Technology, a provider of IT services across the software development life cycle with offices in Atlanta and Ho Chi Minh City. It’s no surprise that Vietnam is being talked about as an alternative, amid rising costs and attrition rates in popular offshoring destinations like China and India. The General Statistics Office of Vietnam reports growth of almost 6 percent in GDP during 2014. Tech giants like Samsung, Microsoft, LG and Intel have invested in large operations in Vietnam, and a growing number of technology startups have secured investment. The entrepreneurial spirit on the streets of Ho Chi Minh City is palpable. Speaking from our past operations in India, we find modern IT skills in Vietnam equal to and in some cases exceed what India offers. English skills in Vietnam are also excellent. Schools teach English and it’s well-understood that proficiency in the language allows progress in the IT industry. You can secure an articulate and consultative workforce with good verbal and written English if you know where to look. 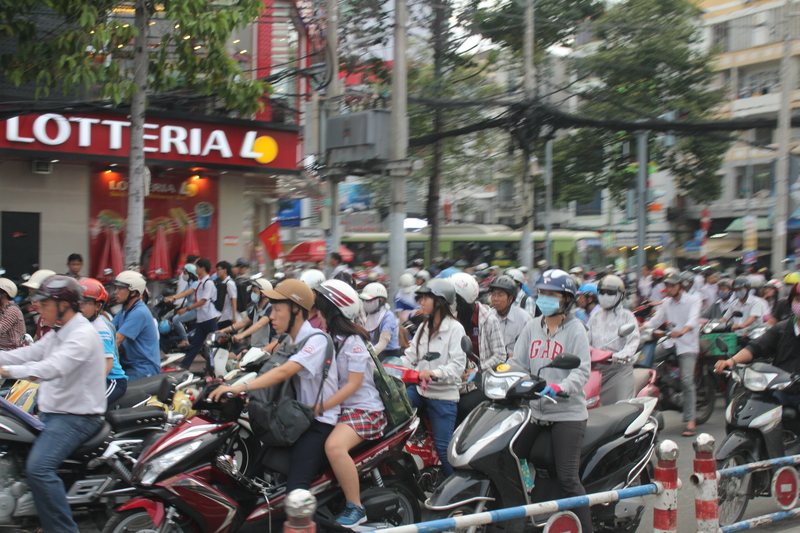 We also have to talk about the culture of working in Vietnam where loyalty is highly prized. We’ve been working in Vietnam for over 20 years, and the level of commitment, focus and loyalty continues to be strong. The expectations on service level are generally high in that part of the world and particularly so in Vietnam. Our attrition rate sits at between 6 and 8 percent. For IT and outsourcing in India, attrition rates regularly climb beyond 20 percent, and the trend is driving wages higher.